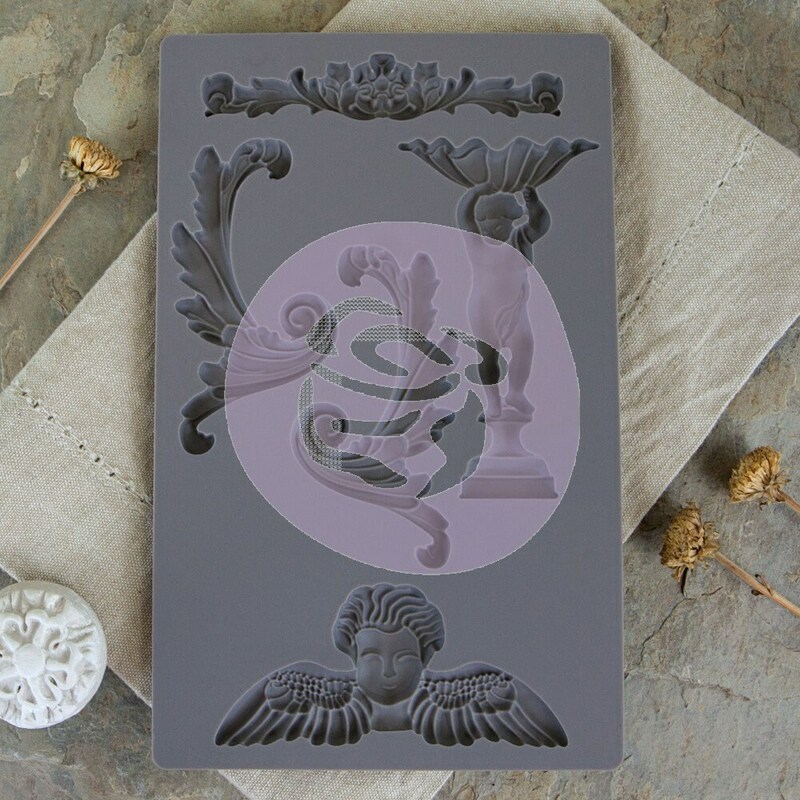 Design creative labels for your next mixed media project with the Baroque 5 Vintage Art Decor Mould from Iron Orchid Designs for Prima! The package includes one 5" x 8" silicone mold for use with hot glue, polymer clay, earthen clay, air dry clay, or any molding medium. The mold is food safe and may also be used to create detailed chocolate treats.